A busy wargaming year for me, I got a fair number of troops painted, made significant progress on my scenery collection and played a good few games, mostly on Thursday nights and Sundays at the South East Scotland Wargames Club. I managed to get to a few shows and ran the Deep Fried Lard event for the second year. I finished off this project early in the year and I now have more 10mm Union troops than I’m ever going to use at once. 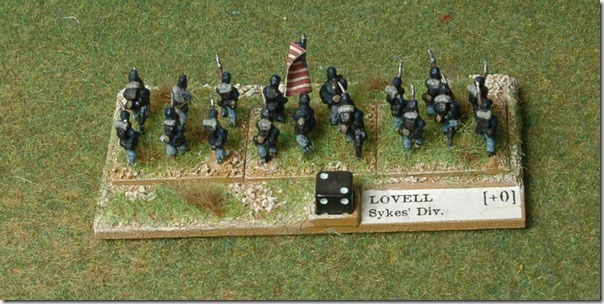 That’s Sedgewick’s VI Corps at Gettysburg for Fire and Fury, though I’ve used them for Longstreet and Altar of Freedom as well. The club’s Longstreet campaign floundered after a few games though we have been playing a fair amount of Altar of Freedom, for which we put the troops in sabot bases. I’ve been building up more forces for use with Chain of Command. At the start of the year I knocked out platoons for French and Germans in 1940, but I didn’t get round to playing with them. Later on I focussed on my favourite period of the war, the Normandy campaign of 1944 and built up my forces of Germans and British to a company a side. This mostly involved rebasing of troops I already had painted. In December I rebased and painted a load of British Airborne troops and I’ve now got two platoons of them. I also extended my collection of support units for both British and Germans. 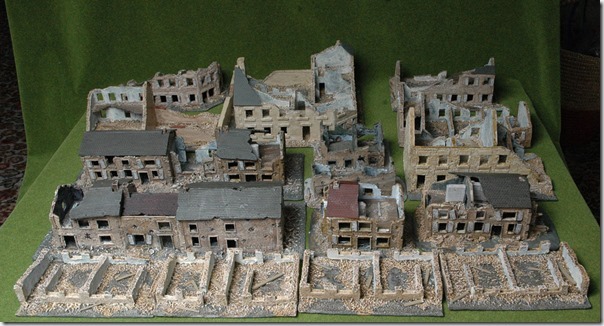 Also for WWII I’ve built a load of scenery, mostly buildings, but also some walls and various bits and bobs. On the playing front I got in a number of games of CoC and have started up two campaigns, British Paratroopers vs SS in Arnhem and the 29 Let’s Go Pint Sized Campaign that pits Americans vs Germans in the immediate aftermath of D-Day. 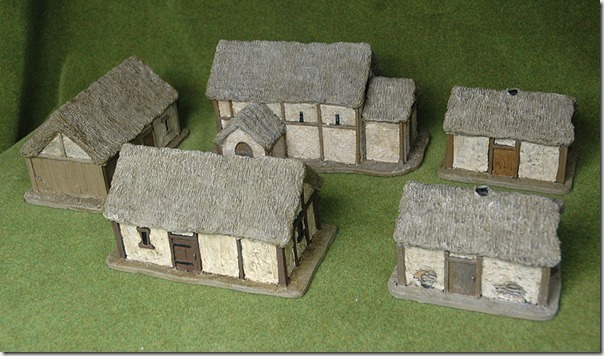 I spent most of the second half of 2014 doing new armies for Dux Britannarium. Despite already having a large force of Romano British I I painted up a new British Army to represent the Gwŷr y Gogledd (Men of the North) and I put together another force of Scotti. The Gwŷr y Gogledd and the Scotti have seen action in a Raiders campaign with Scotti raiders attacking the British kingdom of Alt Clut. We’ve just finished the first full year of the campaign and so far the honours are just about even. 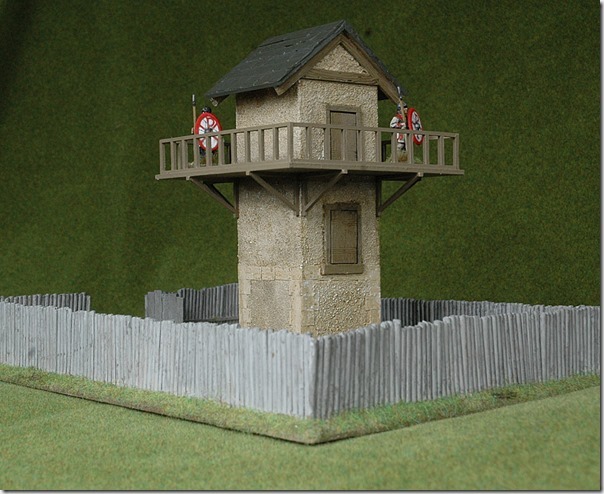 We needed more scenery for this so I’ve built a watchtower and painted up a British village, and I painted up a herd of cows for use in the Cattle Raid scenario. 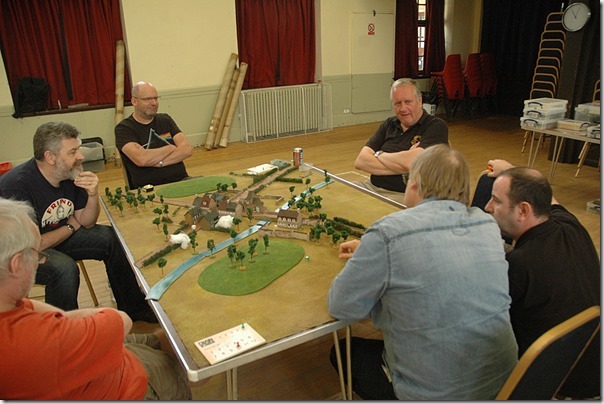 In June I organised Deep Fried Lard (Again) an event in which twenty odd wargamers, mostly from Scotland, came to Musselburgh Rugby Club for a day of Lard filled fun – games, beer and curry. What more does a wargamer need? I’d consider the year a success, I’ve manged to focus on three main projects, ACW, WWII and Dark Ages Britain, and I’ve advanced them all to a significant extent. I took part in the TooFatLardies Game Ready Painting Campaign, which was really good for providing motivation, and gained a total of almost 1,900 points. That’s going to be difficult for me to beat.